Kids and animals are synonymous. Many of us remember growing up around animals and often with pets in our households. Some of us probably remember ending up on the wrong end of the introduction and may even have a painful reminder of that situation. 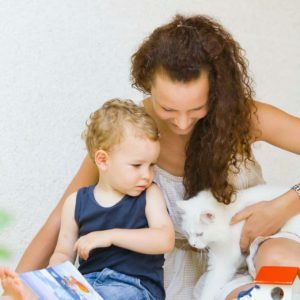 There are a few things to teach kids about at an early age that can make their introduction to animals safe and memorable. One of the best lessons to teach kids as soon as they can understand is to ask the owner of the animal for permission to approach and pet the animal. This is usually an easy lesson because children are often taught to ask for permission to do any variety of things like getting more juice or crossing the street. Often the lesson about asking for permission to approach and interact with someone else’s pet gets left out so it’s always good to start here. Always, ask for permission to engage with someone’s animal. Every kid is different. Some are timid and shy and will approach an animal cautiously, while others are fearless and will run full speed towards the unfamiliar encounter. Depending on their background, animals are not always familiar and acclimated to these tiny humans that are more at their eye level. These new creatures are often more noisy, fast-moving, and curious pokers than their larger counterparts and this can cause an animal to react out of fear. Teaching a slow and steady approach to a new introduction is the best way to kick the encounter off. Make sure the kids understand that running towards an animal is never a good idea. Adults often shake hands when they meet other people. Kids generally don’t. So it’s not natural to expect that kids will know how to greet an animal. Teaching them to hold out their hand slowly so the animal can smell and engage with them first is the next important lesson to reinforce. Approach slowly so the animal can see you. Slowly reach out your hand and allow them to approach and smell you. Often after the hand smell they’ll move onto the full body inspection so prepare the kids to be sniffed so they are not scared. 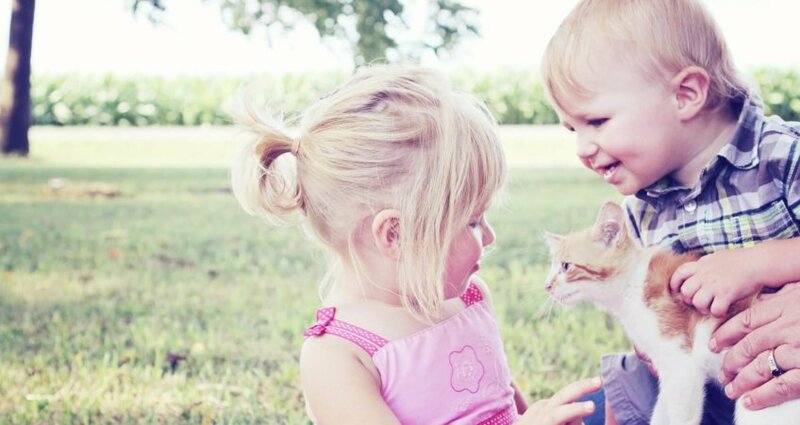 One of the last lessons to teach kids is what to do when they see an animal in distress. Maybe they’ll encounter a dog who is limping or a cat that got stuck a little higher up then what they planned for. What should they do in these situations? Animals in distress will often act out more aggressively due to their situation so it’s best to teach kids to get a grown-up involved and keep their distance. Even grown-ups should exercise caution and common sense when approaching a wounded animal, lest they end up getting a trip to the ER themselves. Simple rules that kids can follow are a great addition to their learning about being safe with animals.